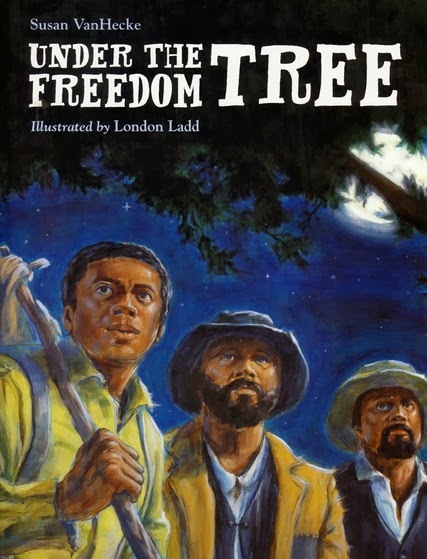 In celebration of Black History Month I reviewed the book Under the Freedom Tree by Susan VanHecke, illustrations by London Ladd (Charlesbridge, 2014). Click HERE to read my full review at ReaderKidZ and to hear what the author and illustrator had to say about how this story came to be, and why they think it's important for young people to know this story. 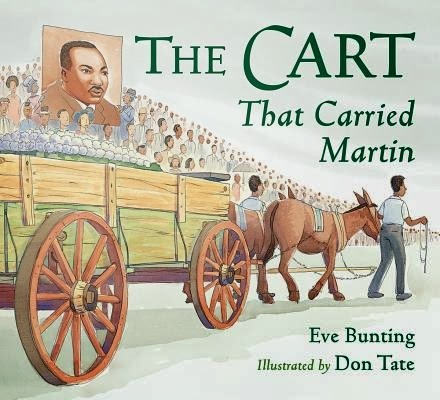 Also last year, I interviewed illustrator Don Tate at ReaderKidZ about his book The Cart That Carried Martin written by Eve Bunting (Charlesbridge, 2013). Peek from my ReaderKidZ review: "...Eve Bunting and Don Tate have collaborated to bring us the story about the “humble cart that, not so long ago, carried greatness.” It is a poignant tale that pays tribute to the late reverend and how the American people honored Dr. King..."
Click HERE to read the full review and interview. On a final note make sure you drop by the Brown Bookshelf as they celebrate twenty-eight days of Black History Month through children's literature.